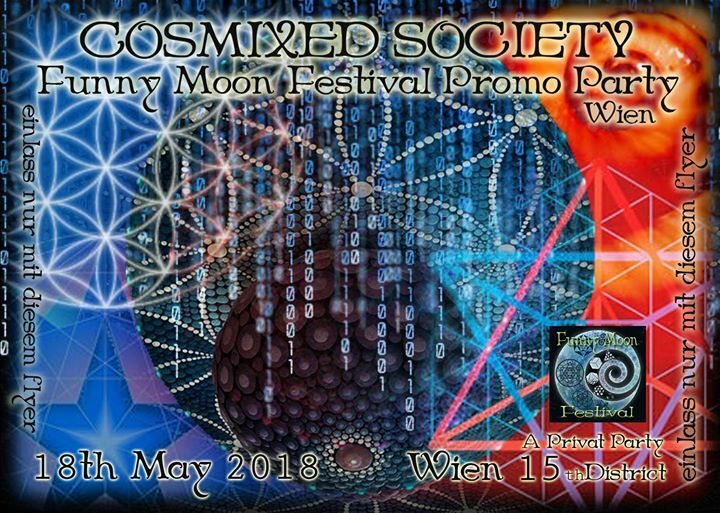 Cosmixed Society Invites you to a pre Funny moon festival event in Vienna Austria. join us for a trippy night of great music and talented artists , deko and visuals from another dimension . the location is private so if you would like to find out where this meeting of the tribes will be then look out for a flyer around the 1st of may or ask a friend who has always been good to you.